It’s about 10 days now since music lost one of its great ambassadors – Uppalapu Shrinivas and we, a musical genius. In these times of 24*7 news churning, the sudden, untimely demise of Shrinivas has already moved out of the headlines. In the last one week, “Modi” has submerged the sounds of the “ManDOlIn”. That the King of Mandolin is not around anymore has still not sunk in me which explains this rather late obit piece – a very basic attempt to keep his memory alive by an ordinary remote rasika. I don’t have to crank my memory hard to recall the first time I heard Shrinivas live. It was around the year 78-79 in Trichy. He was may be all of 10 years and had come to play as part of the Kumbabishekam celebrations of the majestic Rock fort temple there. In that one week long festival there were music, dance and drama programmes every evening. Giving him august company were veterans like Thiruvizha Jayashankar (Nadaswaram) and the late Kunnakudi Vaidyanathan (Violin). I had just read about this young kid who was making waves in the Carnatic circuit in Madras and wherever he went. I am not sure but may be that was his first major concert in Trichy. The memories I have is of a boy clad in spotless white Kurta and Pyjama with a paal vadiyum mugam (extremely innocent face) taking the stage with an instrument resembling an electric guitar which later I was told was a mandolin. Till then I never had seen a mandolin or for that matter a western instrument being used to play classical Carnatic music. Little did I realize then that it was just the beginning of many a ground breaking things this lad was going to accomplish. His dad was there right behind him helping him with the sruti (sur) and also with the much needed energy boosters from a thermos flask. Every now and then as his little fingers swayed with effortless ease on the strings, he used to see his dad’s face as if seeking for some kind of approval or encouragement. Which his dad provided with an appreciating smile. On the other side the crowd started gathering in huge numbers and with every kriti/ piece he played, accorded the approval and appreciation with raucous applause. After every piece he used to do a big Namaste to the crowd, constantly reminding us of his humble upbringing. The ‘Chinnanchiru kiliye’ piece of Bharathiyar which he played at the end of the programme still resonates in my ears. That day it signalled to me the arrival of a ‘Chinnanchiru’ genius on the music scene whom I started following very closely though from a distance. After that, I listened to him live in few more programmes and saw him grow taller rapidly, in musical stature that is. Accolades followed. Appreciation from fellow but senior musicians like Dr.Balamuralikrishna, Dr.T.K. 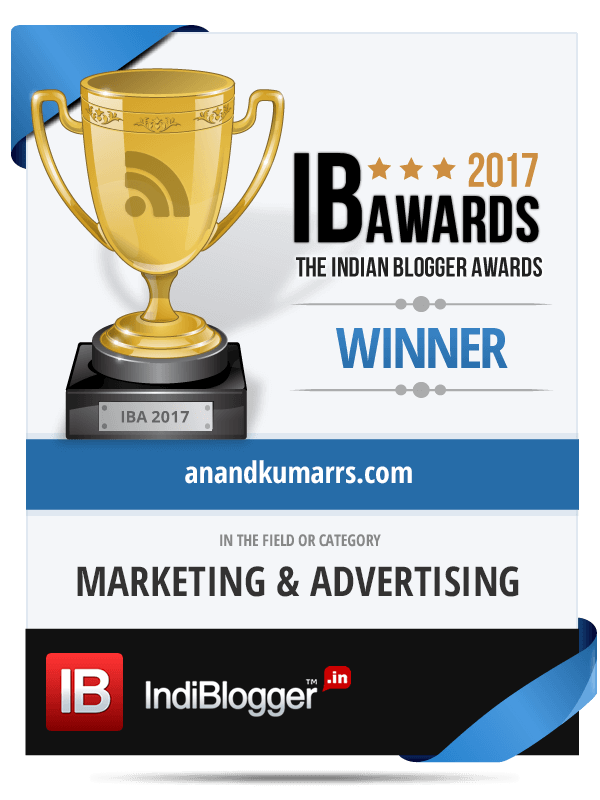 Murthy (he famously removed his ring and put it on Shrinivas’s finger in the midst of a programme in which he was accompanying Shrinivas on the mridangam),… ensued. As I moved out of Trichy for higher educational pursuits, opportunities to witness his concerts became rare. And there came the audio cassette albums and CD labels to the rescue to be in touch with his musical notes. From “Mandolin Solo” to “Shrinivas Vs Shrinivas” to “Mandoin Trio” and his “fusion experiments” my cupboard craved for more and more space to store his releases. By now Shrinivas to Mandolin became akin to Xerox in photocopiers. Mandolin = Shrinivas and vice versa. The last I saw him live was in Mumbai couple of years ago and that too in a rare programme with Shankar Mahadevan, Vikku Vinayagaram and Sivamani. He still looked the next door lad. But the way he played the mandolin was as if the instrument was a lifelong slave of him. He kept smiling at his co-artists but this time without any need to seek their approval. On the other hand it was Shankar who was falling at Shrinivas’ feet (in jest though) trying to match his artistry with the fingers with his own vocal chords. From a higher octave to lower octave, music was just flowing. In Mumbai I keep ruing the fact that most of the classical concerts happen in week days making it difficult to make it. But this programme happened on a weekend and today I am glad that I got to attend this one. In one of his interviews very early as a kid a shy Shrinivas said that Bahudari was his favourite ragam. I am not sure if it remained his most favourite till that fatal lever failure consumed his life. In that most famous piece in Bahudari – “Brova Barama Raghurama” – Thyagaraja asks Lord Rama – “Will protecting this frail Thyagaraja prove an intolerable burden on you and tax you?? ?” I’m wondering if as fans we should have asked this to the Almighty many times over about Shrinivas. May be he would have been with us today. As a prodigy in the strictest definition of that term, Shrinivas was never late in arriving at the musical scene. But in life, it is numbing to realize that he became “late” so early in life leaving an empty space in the hearts of his well-wishers. If I say that with his untimely demise, Mandolin has lost its “Middle C” and Carnatic music its “Adhara Shadja” it may be termed as gross exaggeration. But the feeling is one of that. Prayers for his soul to Rest In Peace. And his music to continue reverberating. Listen to Shrinivas’s “Entharo Mahanubavulu” – here. Thank you for visiting my blog and letting me know about this piece. It is one of the most heartfelt obituaries I have read for Shrinivas, who as you so aptly point out, became synonymous with the Mandolin – as much as Xerox became for photocopying. It is indeed sad that even a life that is so short and yet so full finds such little space in our 24×7 media. Leave alone Modi – at least he is an Indian leader – but just a few years ago, I remember how all media – visual and print – went mad over Michael Jackson’s death! Doesn’t our own Mandolin Shrinivas deserve at least that much! Much as I love my country, at times like this I feel that it is a tragedy to be born in this country. Perhaps we don’t deserve the likes of Mandolin Shrinivas. Thank you once again for letting me know about your obit. It makes me feel better, despite the sadness at re-visiting the moment, to know there are more people who miss him as I do. Hi, Thanks for reading the post and leaving your poignant thoughts. Thanks for sharing your memories of our favourite musical genius Mandolin Srinivas. As a young boy when he came in to the field with a rare western instrument modified suitably to play Carnatic music i was more curious to know how a young boy is going to play this new instrument(at that time i was not even aware that mandolin existed). To be very frank i never thought that the innocent young boy would give such an amazing recital. Today the very thought of him not being there is saddening and depressing. music has lost a genius but his music will remain as a treasure. very nice article. keep it up. Good Thoughts Anand! I could visualize the events in my mind.. Liked it. Straight from the heart i should say. Dont we all feel that a little bit of our own lives has gone away with him ? He was such an integral part of our growing years. 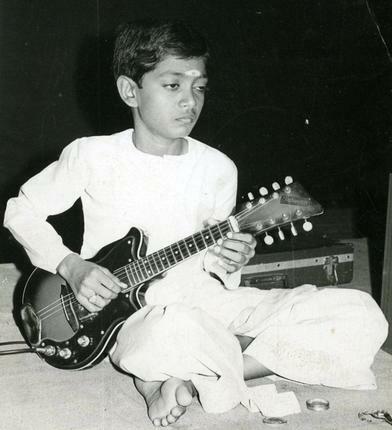 Though enchanted by his playing from a very young age, I had the opportunity of listening to him live only a year back – a jugalbandi with Aruna Sairam. What really caught my attention was his humility. He took great care not to over shadow his co-artist, a very important but rare quality when it comes to performing arts. And yes, as you have pointed out, its extremely difficult to digest the loss of people who have really influenced you in ways best known to each of us. Recently, had the opportunity of listening to two of his disciples – a solo concert by Mandolin Balaji and a jugalbandi by Arvind Bhargav on mandolin and Roshan Dasgupta on the sitar. This was just 3 days back …. Though initially it was difficult to look at a different physical form behind this beautiful instrument, it slowly dawned on me that he has indeed left behind a great legacy. The sounds of the strings linger on , albeit from the fingers of disciples abundantly blessed by their Guru…..
Well said. Thanks for sharing your feelings and thoughts here. Going through this article through the FB link you shared recently, I started getting goosebumps all over my arms. It is too much of a coincidence that I saw mandolin Srinivas at the same concert at Rockfort temple in 78-79. I was doing my BE from RECT and I had come to see Kunnakkudi playing. As you rightfully said ‘chinnan chiru kiliye’ was just unbelievable !! I still hear Mandolin Srinivas whenever I can. To cap it, we worked together in Godrej EBE and didn’t know our common interests !! Good to hear from you Subra! You made my day!!! Good to know of your Trichy connection!!! Thanks for reading and sharing your experience as well! Great!